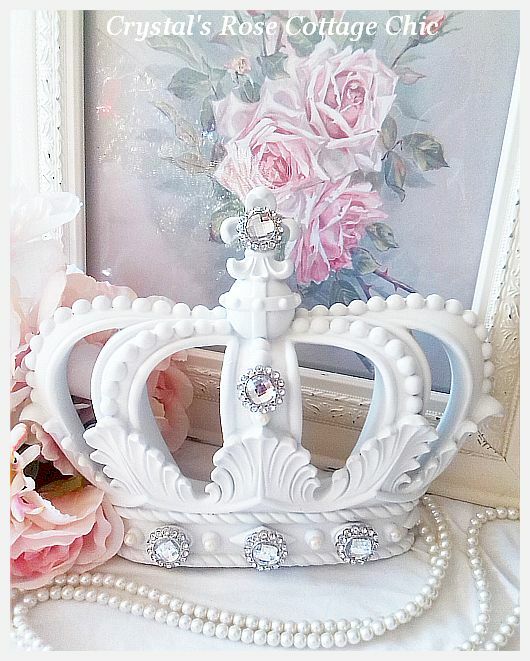 This stunning, white crown has a Fleur de Li s at the top and has been embellished with sparkling, clear rhinestones in heart and circle shapes. If you prefer yours to be all circles or all hearts that's fine, please select your embellishment shape and color from drop down menu below. 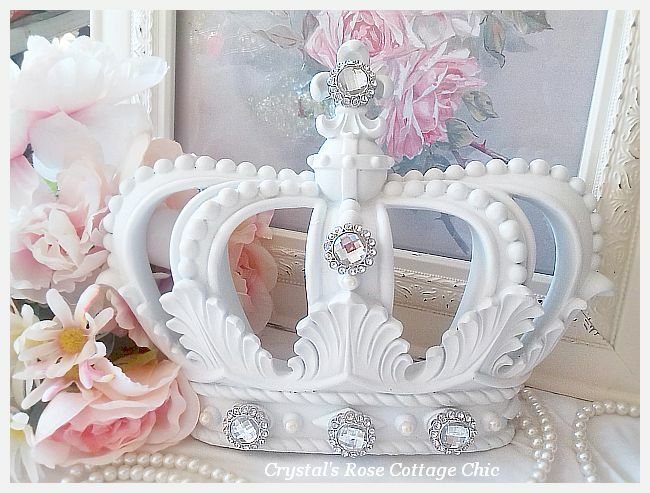 This is such a versatile crown it will work just about any place that needs a special French touch. 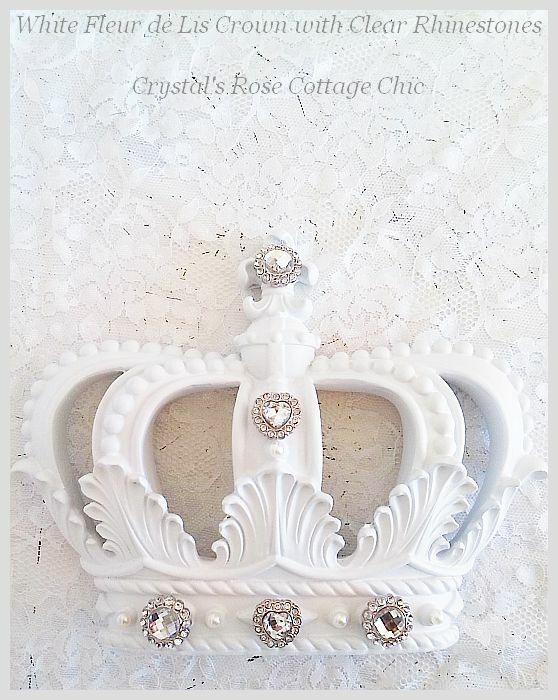 Crown is made of resin and measures 11.25" x 8.5" and has a swatooth hanger on the back. If you plan to use this over a crib or bed as a bed crown with a canopy please select the "Canopy Bar" from the "Crown Back" drop down menu below. 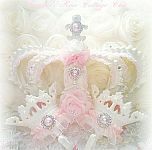 We will install a bar on the back of your crown to drape tulle or other fabric of your choice over to use as a canopy. If you prefer to use sheers please select the "Pinch Rings" option and we will add them to your canopy bar for a small fee of $6.00. 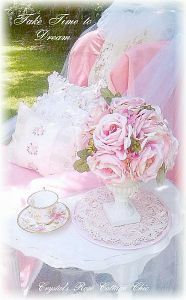 If you plan to use this as wall decor then please select "No Canopy Bar" unless you enjoy the look of fabric or tulle around a mirror, framed print or painting or wall letter. Many customers use these over dessert / gift tables at their events as well.